Foodpanda is the global name in mobile food delivery business serving 40 countries across the world. Their service allows customers to find a restaurant near to your location and order food online directly from that restaurant. Foodpanda has a global base of more than 58000 restaurants, which includes 13000 only in India. With the extracted data from a business analysis report, find the number of hits for restaurants in particular area, number of order selection and number of converts. The ratio of number of order selection to the number of hits for restaurants gives us the satisfaction level of customers with number of restaurants in those areas. If the ratio is less, all the restaurants that are in those area and are not on-board are the top-most priority and are termed as Sales Coverage Target Partners (SCTP). The ratio of number of converts to the number of order selection defines flawlessness of our online payment process and if the ratio goes less in some particular weeks raises red flags for the IT department. Mapping of areas on Google maps, checking overlapping of different areas and mapping of restaurants in those areas makes situation clearer to find SCTP restaurants. To find new leads for sales team from Zomato in a particular city. Developing leads with suitable fields on salesforce. Leads that approach foodpanda to get registered, I use to collect their information, making them understand the policies, settling commission margins and finally contracting. Clustering Delhi NCR area in different clusters and assigning on field head counts for different days in different areas. Market research to understand the business structures of online kitchens in India and customizing foodpanda services to bring them on-board. Initiated daily changing menus in foodpanda which was must for contracting these Kitchens. 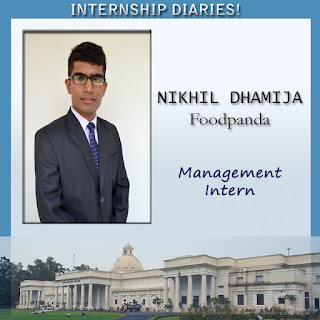 Overall Experience of working for Foodpanda was amazing and got a glimpse of how e-commerce industries are setup, their working models and the factors involved in better management and being Competitive in market.